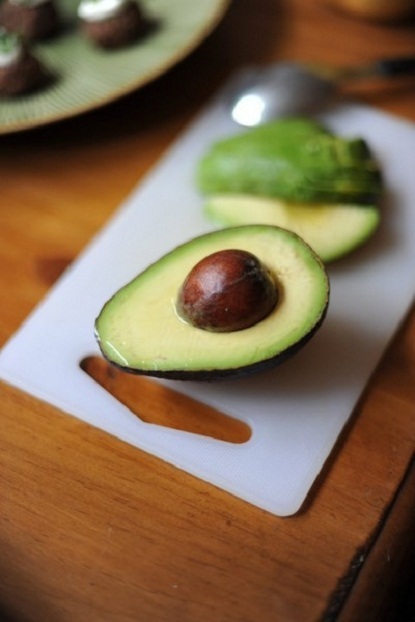 exPress-o: Fancy an Avocado Trick? Don’t you just hate it when you buy an avocado and at home you realize it's under-ripe? Choosing avocados is a bit tricky - kind of a gamble, isn't it? Well, here is a nifty trick that involves a banana and will speed up the ripening process in no time. According to Kalisa "ripe bananas release a lot of ethylene, so placing one in a closed paper bag with your under-ripe avocados will speed up the process". Anjali gave it a go and she said it worked like a charm. I did the same this morning and I can’t wait to check on it tonight. Eek, I must be such a dork for being that excited:). P.S: Two more takes on avocados. cool, great job! 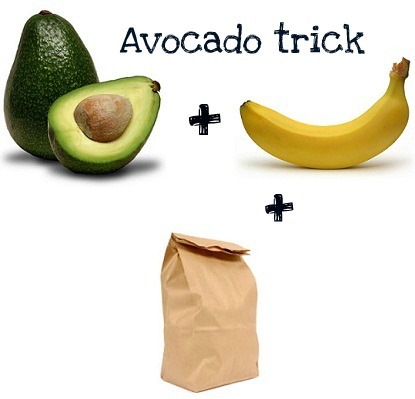 i would normally just put an avocado in a paper bag, but will try this next time! thanks! I love avocados but as you said they are tricky to buy. Most of the time I get frustrated with waiting for days till they get softer. I'm going to try this today too. You always have the coolest tips. Thanks, Grace. GOOD to know! i love me some avocados! xoxo jillian:: Shopbop $100 Giftcard Giveaway! 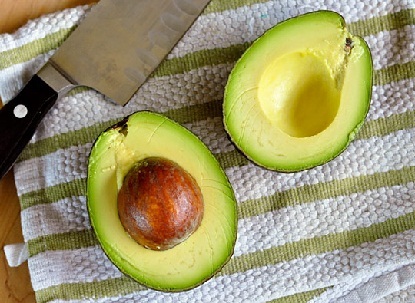 Avocados are my dream but in Brazil people eat them as desert and they are super high on water-content. I hate that. I like me a nice and creamy avocado... sniff sniff. Really, what a brilliant idea!! Happy Monday girl!!! I use apples and they work great as well but I didn't know bananas did the trick too. These little things get me excited also. Jeanette, apples are great for it too as they release almost the same amount of ethylene. Add one to the dork club-- I am ENTHRALLED upon reading this!!! YAY! This is an awesome tip!!! I just bought avocados that need ripening. Oh my gosh... this is fantastic! I will be doing this for sure. Although, I also use my other trick which is called living in NYC and shopping at grocery stores where everything is a little too ripe anyway. HA! I don't even put them in a bag together. For years I've been putting my avocados and bananas in a fruit bowl together. Bananas tend to ripen everything more quickly, so I only put avocados in with them. THIS ALSO WORKS WITH AN APPLE OR PEAR!!!! !